WE HAVE JUST SIGNED GEORGE KAZARIAN – YES, MY BROTHER – TO A LONG TERM CONTRACT!! THE WACHUSETT CLASS OF 1989 HAS JUST BEEN DECIMATED. NO RETREAT, NO SURRENDER! THE CLASS OF 1989 LEARNED THE HARD WAY: IF YOU RUN WITH THE BULLS, YOU’LL GET THE HORNS. WHY ANNOUNCE THIS SIGNING NOW? WELL, INITIALLY, LIKE MANY OF YOU, I DID NOT THINK GEORGE WAS A LEGITIMATE ENOUGH THREAT TO BE A MEMBER OF OUR CLASS, BUT WHEN HE CALLED ME LATE LAST NIGHT AND SAID THAT HE WANTED TO FIGHT THE POWERS THAT BE, I KNEW HE WAS SERIOUS!! 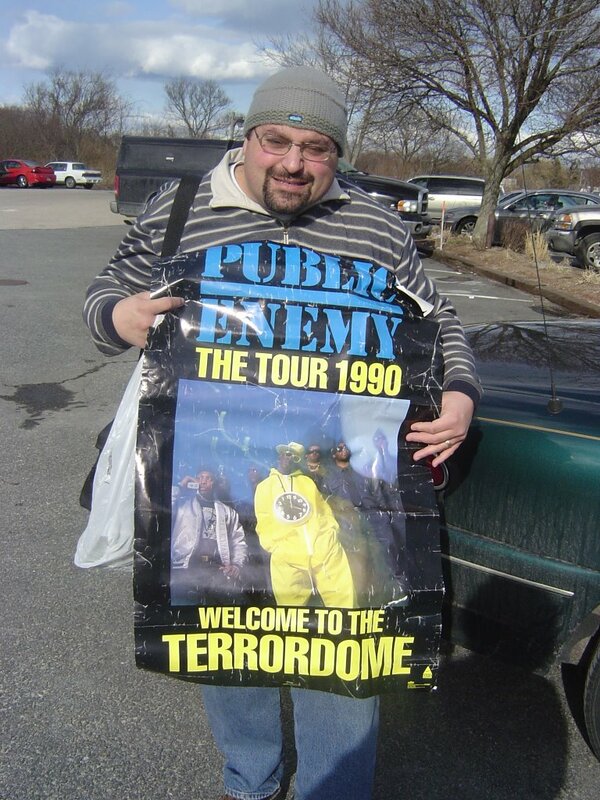 IF ANYONE QUESTIONS HIS LOYALTY, JUST TAKE A LOOK AT HIM WITH THE PUBLIC ENEMY POSTER. IT’S OBVIOUS THAT GEORGE IS DEDICATED TO SHUTTING ‘EM DOWN! TWO KAZARIANS ARE INDEED BETTER THAN ONE!! BROTHERS GONNA WORK IT OUT!!! WELCOME TO THE TERRORDOME, GEORGE!